This is it. 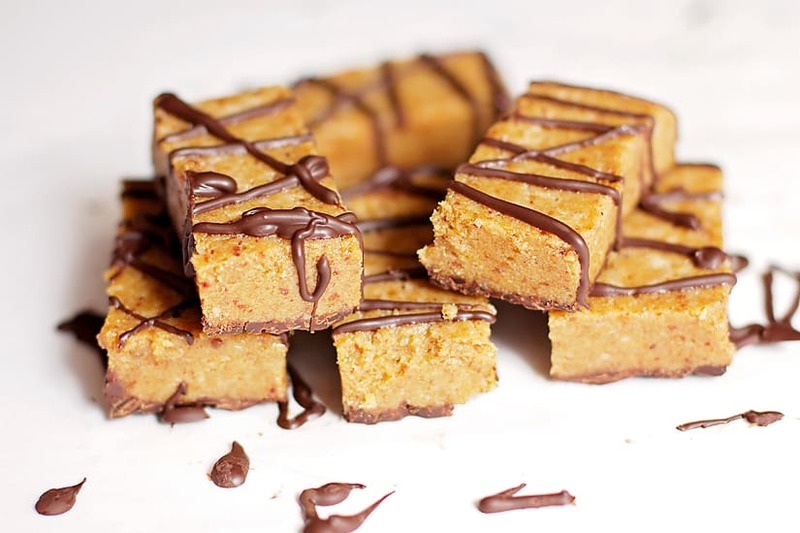 The BEST protein bars you will ever make. The recipe is courtesy of my good friend (and teammate) who has been generous enough to share her culinary wisdom with us several times before. 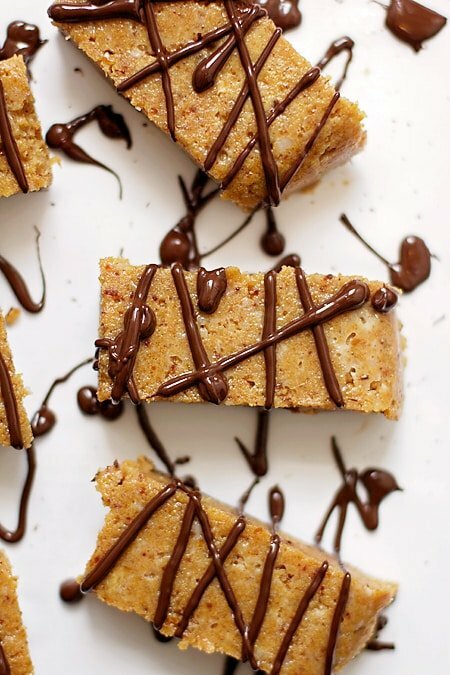 These protein bars are ridiculously easy to make. Require NO baking. And, as previously mentioned, they’re the BEST protein bars ever. While I would love to stay and chat (and ramble on) with you for a very long time today, I need to keep things short (and SWEET) as I need to finish my packing and get on the road. Yea, I know; I’ve mention 100 times that Playoffs are this weekend. SO, these protein bars are to be eaten in between playing games against Houston and then London. We’re going to need a lot of muscle power for that and I’m READY. Oh, and I used THIS delicious homemade peanut butter recipe for these. SO good! 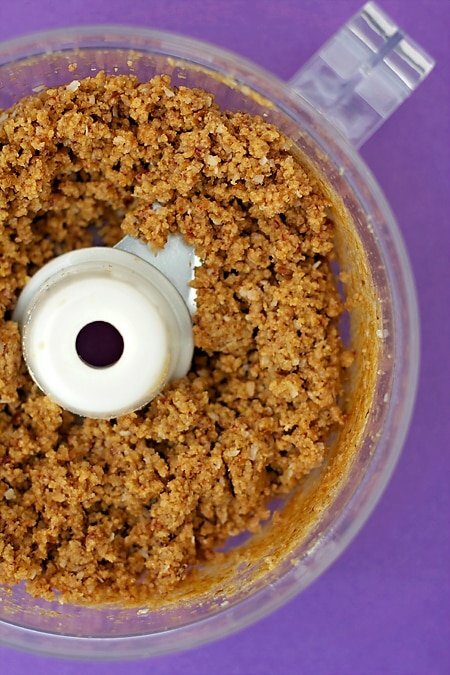 Basically, just dump all of your ingredients (minus the chocolate) into a food processor. Process for a good few minutes until everything is NICE and cozy and thoroughly blended together. You’ll know it’s done if you’re able to press it together into a ball and it stays. 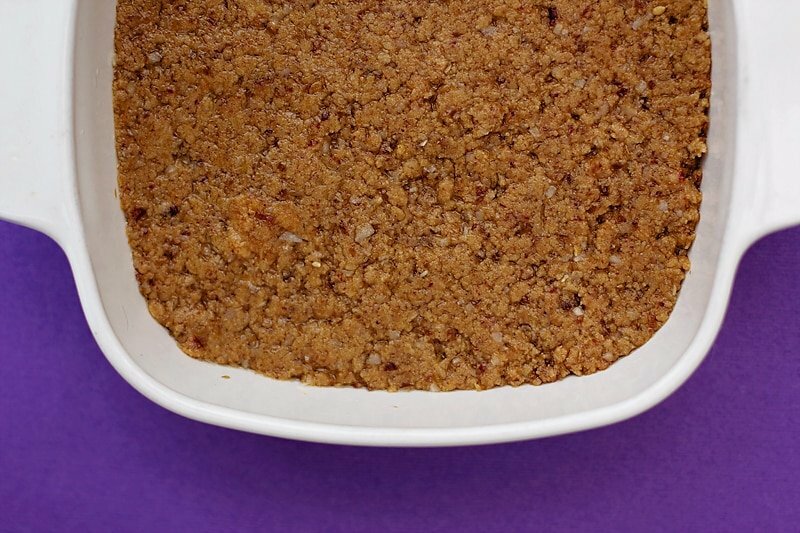 Once the mixture is ready, dump it all in a small squar(ish) dish. This dish is going to be SO happy with itself that you might catch it doing a little happy protein jig. This sometimes happens but at least I’ve warned you. Now, this is important: You want need to press it ALL in there really good. It needs to be nice and tight and compact in the dish. 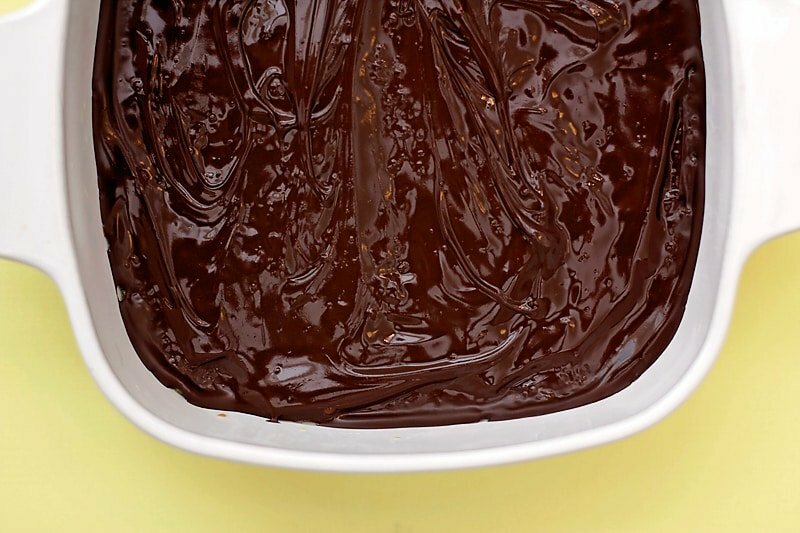 Melt your dark chocolate and pour that delicious goodness over top and spread it out evenly so as to spread the love. Pop that back in the fridge for an additional 30 minutes. Once the chocolate is fully hardened, cut out your bars (in whatever size you so desire). Getting the first bar out of the pan might be a little messy. However, the rest will come out just fine. If you’re like me and require a bit more chocolate, turn those babies over and drizzle chocolate on the other side too. This also makes them prettier. 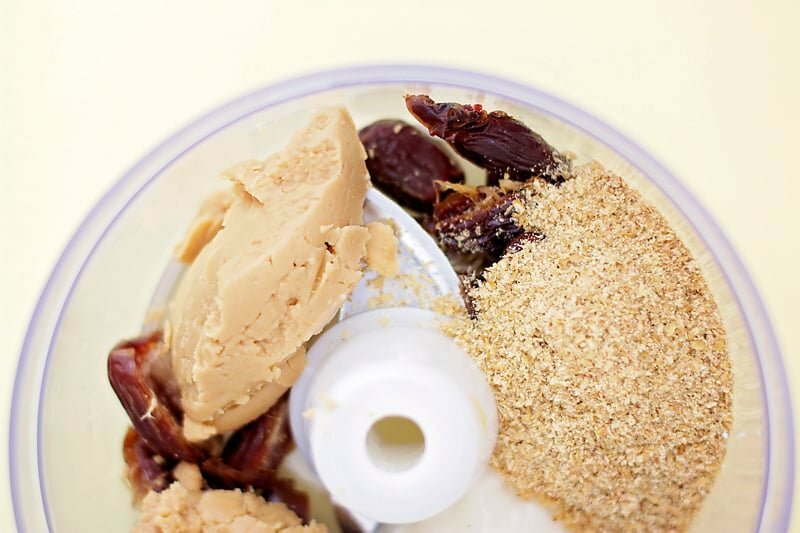 Have you made Homemade Protein Bars before?? 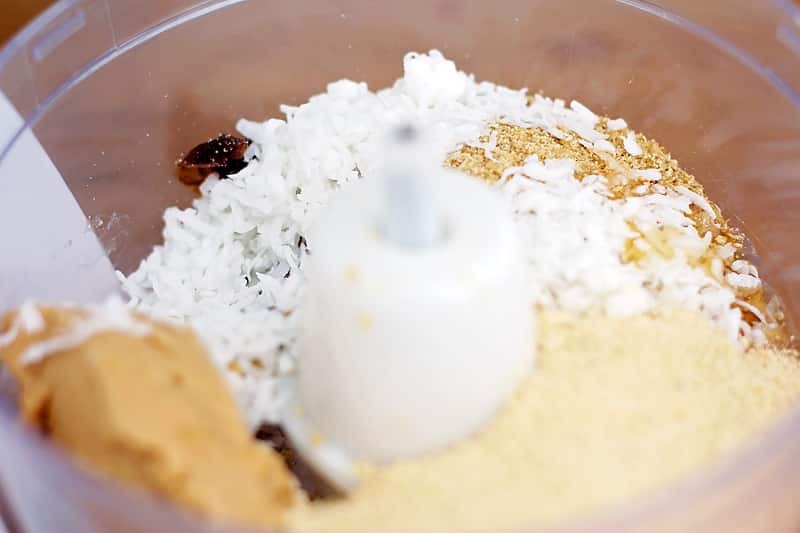 What are your favorite ingredients? Now, this is important: You need to press it ALL in there really good. It needs to be nice and tight and compact in the dish. Chill in the refrigerator for about 30 minutes. Melt dark chocolate and pour over top. 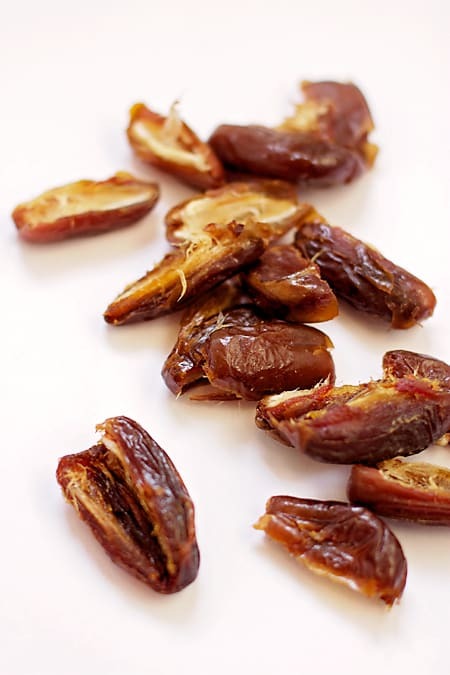 Refrigerate for an additional 30 minutes or until the chocolate has fully dried. 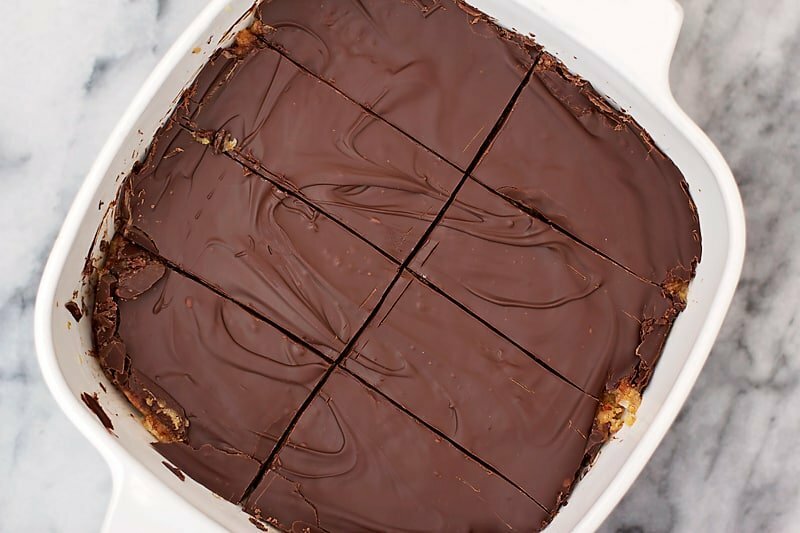 Once the chocolate is fully hardened, cut out your bars (in whatever size you so desire). Getting the first bar out of the pan might be a little messy. However, the rest will come out just fine. 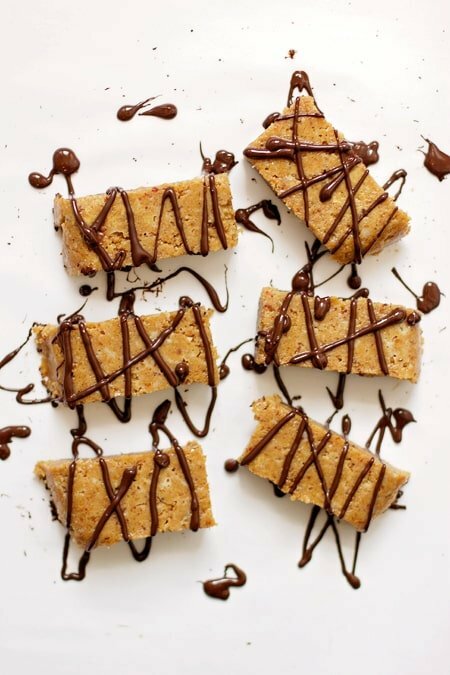 If desired, drizzle chocolate over top of the other side of the bars, let chocolate harden, and ENJOY the BEST protein bars ever! I have started to eat protein balls from Bounce when I get the munchies at 11 am and was wondering If I could make them myself. 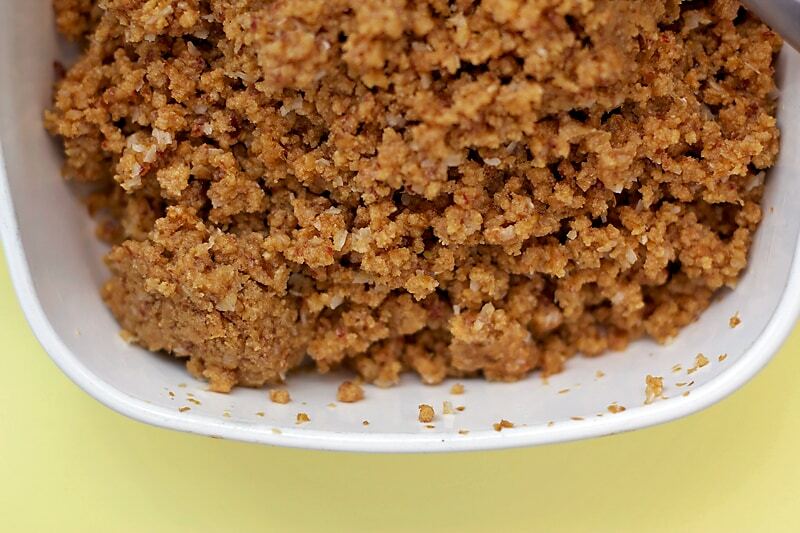 Glad I came across this recipe – no weird, expensive ingredients! Omg these look amazing! 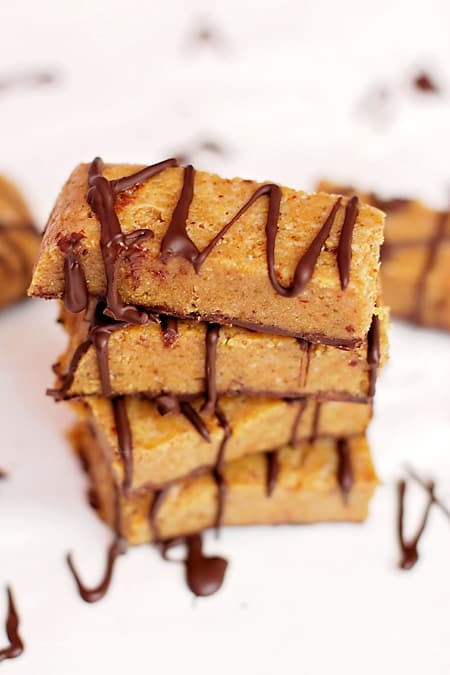 I need some, love me some protein bars. These look so delicious. I am not one for protein bars, but I pinned this and will give it a try. Thank you for sharing. I can’t wait to try these! They look sooo good. My mouth literally watered when I saw these lol. And I think I have all of the ingredients on hand! Oh wow these look amazing! I am so mad right now because I forgot my green juice at home and came to work and have no larabars or anything to eat. So seeing these are making my even more hungry!! Awwwww baby! You had me at moist and sticky, LOL!!! I love that these are no bake! 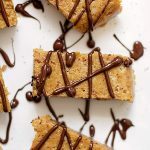 I love the idea of making protein bars at home because most of the ones at the store have artificial sugar, which makes me feel weird when I eat it. The dark chocolate won me over. Man, those look luscious. It’s like a homemade LaraBar. Your photography is stunning! I could eat my screen! Oh my goodness, these look amazing and being a vegan something I can def try out. I can just sub out the honey. Thank you for sharing! Thanks! Yes, you can totally sub out the honey! I’ve made these without honey before and they’re still very tasty!! If anything, you might need a tad bit more fruit to hold it all together (but probably not). Wow, I really, really want to make these. I think it so much better without extra additives or preservatives and the no-bake aspect is awesome! I can’t wait to make these. Maybe tomorrow! I think I have almost everything in my pantry already. Thank you for the recipe! Whaaaat! Genius. My husband and I eat a lot of protein (store bought) bars. These would save us SO much money! These do look good. I love peanut butter and saved this for later ! These really look so delicious! Thank your friend for me! This recipe looks bomb. ANYTHING with dark chocolate sounds great to me ! OOOOh man. Seriously, these look fantastic! Can’t wait to try them! These look amazing. The only issue is I’d eat the whole batch! I have a very similar recipe that I have been meaning to try! This looks great! This turned out absolutely DELICIOUS!! Sharing it with my friends right away. Thank you.